The Daily Bread Mailbag returns with Stephen "Breadman" Edwards tackling topics such as Errol Spence vs. Terence Crawford, the recent performance by Mikey Garcia, Terence Crawford vs. Amir Khan, Deontay Wilder vs. Tyson Fury rematch, and more. You got to tell me what you DON'T SEE in Spence? As great a boxing mind as you have, How can you not see how special this kid is? And not saying you don't think he's a special fighter but I'm saying Spence is Special Special and not 50/50 with any other welter! He beats them all and convincingly! That includes Crawford! So when the fight happens, please remember this email! It won't even be that close! Arum hates or at least dislikes Haymon, you think if he could drive a stake in the heart of the PBC brand by beating one of Haymon's top guys he wouldn't? All my "opinion" but that fight has less to do with clearing out PBC for Spence and more to do with and even Crawford knowing Arum has no interest in truly making that fight! The loss hurts Top Rank, way more than it hurts PBC. Even in a loss Spence still has multiple fights on the table! Crawford hits a major roadblock in a loss! Especially a decisive loss! Also This is just my conspiracy theory but Pac's very strange A-side showcase fight loss to Horn was Arum's way of getting Crawford that belt without him having to go through Pac to get it! Something just never felt right about that entire situation to me! Just like Wilder and his team's latest games. It screams of a team not confident their fighter can win and just may lose embarrassingly! And I can't blame them on a certain level because of the way the Fury fight played out! Seems like truly the Mayweather route. Why take a 100 million for fighting a guy you could possibly lose to when you can make the same money fighting 4 to 6 guys you know you can beat! Milk the belt and still call yourself champ when you look in the mirror in morning! ?????????? again just opinions, But what do you think? Always dig your insights and continued success Brother! All the best against Hurd! Kid is a Bull for sure! Bread’s Response: You’re just wrong my man. I think Errol Spence is a top 5 P4P talent. What else do you want me to say? That he’s better than Sugar Ray Robinson at welterweight….That’s what’s wrong with the analyzing in this era. You guys, the fans and media screw it up for the fighters and the accuracy of where they belong. Errol is super good but he’s still building his legacy. Let it play out before you use the term Special Special. Errol at this same point 25 fights in, was no better than Donald Curry and Curry was in a better era. In fact Curry “looked” better in my opinion with the eyeball test. He also had already faced Marlon Starling twice who is a tougher fight than Mikey Garcia and Kell Brook. And Curry just made the HOF but he didn’t turn out to be Special Special. You guys always over do it and want to be the 1st to say something. Spence has a chance to be Special Special and I wouldn’t be shocked if he does but you are going way overboard to early. You’re also wrong about his fight with Crawford not being close. I don’t know what will happen in a few years, because Crawford is older. But if they fought next, Spence would not win that fight easy. Crawford is just as good. It will be a highly competitive fight. No one in history would just beat Crawford easy if they didn’t clip him early with one shot. Top Rank is in a tough spot with Crawford, I agree with that but I think they want the Spence fight. They have NO opponents for Crawford and they will have a hard time convincing a welterweight stand out to sign with them because they don’t have anyone over there. If you sign with them you get thrown in with Crawford. I think Top Rank wants the fight, I think they believe Crawford can win and if he wins they are in the driver’s seat. Crawford is 31 and Top Rank is ready to roll the dice. Top Rank has offered a few PBC fighters, fights with Crawford. PBC has all of the 147lbs champions besides the WBO. Top Rank has to be willing to do business in order to do what’s right for their fighter. You’re very wrong. I also disagree about Wilder. I think he wants the smoke. I think he wanted the Fury rematch and Fury went in another direction. I don’t think Fury or Wilder are scared of each other. I think Fury didn’t like his power influence in the 1st fight so he aligned himself with a power player in Top Rank. You have to remember that Fury feels he was robbed in the 1st fight where he was the B side. So now he wants some influence behind him. Wilder took a little long to develop. But once he did he was willing to fight Ortiz, Fury and Povetkin in Russia. I also believe he would fight Anthony Joshua. Wilder wants to get paid. He’s 33. I know fighters and Wilder wants to fight. He’s a fighter. Why is Khan such a huge under dog versus Crawford? I know he has been somewhat inactive but skill for skill how does he match up with Crawford? Bread’s Response: Khan is a huge underdog because his weakest points are Crawford’s strongest points. IQ and mental stamina. Khan makes mistakes a fighter of his pedigree should not make. Khan loses concentration consistently. Crawford gets better and sharper as a fight goes on. He capitalizes on mistakes as good as anyone in boxing. It’s not always about physical talent. It’s not always about who has the better resume. The better resume usually is the fighter who has fought the longest and has had more opportunities. There is also the perception that Crawford is at his apex and Khan is past his best days. I don’t know if that is true but that is the perception. I believe Khan has a 30% chance to win this fight. If he listens to his trainer, uses a jab, and lands something really attention catching early he can win. But that doesn’t mean he WILL. Crawford deserves to be a considerable favorite over Khan. Khan is a GUN and he’s fearless. He knows what he’s up against. He’s not fighting the betting odds he’s fighting Terence Crawford. Give me your top 10 P4P in boxing currently and what are the 3 best divisions in boxing? 2. Vasyl Lomachenko- I used to rate him #1 but I don’t think he’s the best at this moment because lightweight may be a little too big for him. 7. SSR- severely underrated fighter at 115lbs. He has the strength of a featherweight. 10. Jarret Hurd- Hurd is one of the few unified champions in boxing and his win over Tony Harrison is looking great these days. 1. Lightheavyweight- Every belt holder is undefeated except for Sergey Kovalev and he’s a HOF and the most accomplished. Beiterbev, The Nail, Bivol and Marcus Browne are all SERIOUS. If you throw in Gilberto Ramirez who is undefeated and moving up from 168. Anthony Yarde looks like a blue chip talent. This division is stacked. 2. Welterweight- Welterweight is not as deep as some of the others. 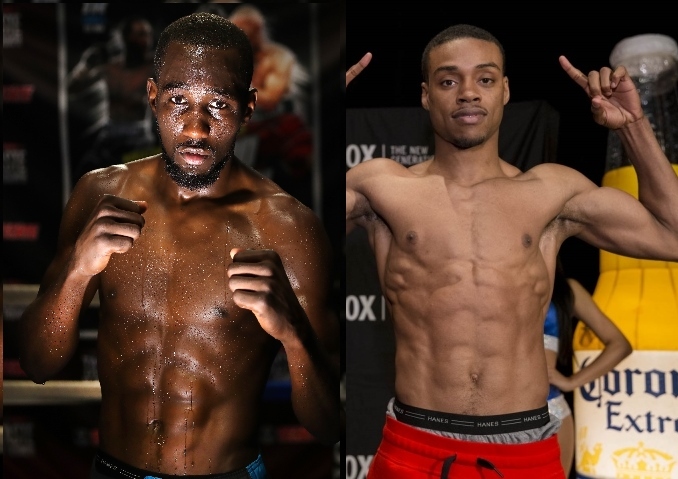 But no other division has 3 fighters who are top 20 in the world in Terence Crawford, Errol Spence and Keith Thurman. Welterweight is super top heavy. 3. Middleweight- Canelo, GGG, Andrade, Brant, Charlo Jacobs, SD and I believe Saunders will be back. Is Ali really the greatest fighter ever? I have a hard time with that moniker. There seems to be at least 10-15 fighters who are better P4P. Bread’s Response: Quick story I learned to look at this from a different perspective as a young kid. A man by the name of Stanley Edwards Sr. used words like Front runner, clutch and character. Before that I only saw things on the surface. In my household Ali and Ray Robinson were revered. Ray Leonard and Joe Louis were honored. Better and Greater are different but they can relate with certain athletes. Roy Jones at super middleweight may be the best. But he’s not the greatest. Ray Robinson at 147lbs is most likely the best and his career from 1940-65 is also most likely the greatest. Ali is the greatest and best heavyweight ever. His peak in 1964-67 is probably the best peak we have ever seen at heavyweight. And his career from 1960-81 with his accomplishments is the greatest at heavyweight. Ali was a HEAVYWEIGHT. So in a literal form he can beat more men than anyone else. Ray Robinson at 147lbs could not beat Ali at 215lbs in a real fight. So Muhammad Ali is literally the greatest fighter ever. Yes he is. And Ray Robinson is the P4P greatest fighter ever meaning if everyone was the same weight, and their height and reach proportioned Robinson is #1. That’s just my opinion. And also there aren’t 15 fighters regardless of weight that are better than Ali. Watch the Cleveland Williams fight and get back to me. Would just start by saying Happy birthday bread! How do you see Khan Crawford playing out? If Khan can stay focused for a full 12 rounds can he win, I say this because Khan is a very hard man to out box but it seems he always has lapses in concentration that result in him getting clipped. If you had to rate these 3 fights in order of quality (which you'd be happiest to pay to watch) what would it be. You have to favor Crawford in the fight. My big question is, is Khan still in his prime. I don’t know if he fought down to Samuel Vargas or if he’s past it. If he’s still in his prime I think he can put up a fight. You already know what you get in Crawford. He’s like water, his style is formless but it overcomes everything. People say he favors southpaw but I say he favors what his opponents can’t handle. Most opponents are more used to fighting right handed fighters than they are left handed fighters. If you look at Crawford closely, his right hand is his best punch. That’s the punch he gets people hurt with more than anything. Khan has 2 sets of career best performances. Two were against Paul Malignaggi and Zab Judah under Freddie Roach. And two were against Luis Collazo and Devon Alexander under Virgil Hunter. He’s now being trained by Hunter again. Hunter is a more technical trainer than Roach. Roach lets his guys run their combinations and he’s an attacking coach. I have no idea what will work and what won’t. But I am curious as to what style Khan will use. I wouldn’t even suggest what style I think he should use. This is a tough decision for Team Khan because Khan is more of a REACTOR than he is a THINKER. The one thing I think that needs to happen for Khan to competitive is Khan needs to crack Crawford early. He has to land something hard, clean and crowd catching within the first 2 rounds. If he doesn’t then he’s in for a looooonnnggg night. If he does then he can get Crawford’s respect enough that he doesn’t get rolled. Crawford is willing to play chess match if he has to. He did vs Victor Postol, Ricky Burns and Jose Benavidez. All of those guys were taller than Crawford and they presented a threat level. Crawford boxed them smartly and took them apart but he didn’t just bull doze them like he did others. Khan can present some of the same obstacles say Ricky Burns did. The later Crawford gets cooking, the better it is for Khan. Khan is very hard to outpoint. In fact I haven’t seen him legitimately outpointed as far as someone winning more rounds vs him than he did vs them. But he’s never faced Terence Crawford so…. Crawford is the best fighter in the world for a reason. This is a tall order for Khan but it’s boxing and anything can happen. Khan will have to fight the perfect fight vs a great fighter in their prime. Something that he’s never done before. He will have to be better than he ever has before, when his best is needed. Let’s see what he’s got. 1. Aj vs Miller because Miller is so polarizing he really is a good sell to a fight. He’s also fighting AJ at home. I’m curious if AJ can perform while being verbally assaulted. 2. Wilder vs Breazeale. I think this is real bad blood. Most aren’t giving DB a chance but I am. He’s a real dog, with real character. He has one loss vs AJ but AJ is better technically than Wilder and he’s physically stronger, so he was able to keep DB from pushing forward. Wilder may be a bigger puncher but I don’t know if he’s physically stronger. If Breazeale does not get clipped early he has a chance. He comes on midway in every fight and usually scores a stoppage. Wilder is of course the favorite but I’m intrigued. 3. Fury vs Shwarz. I have never seen Shwarz fight so I will have to research him. I love Tyson Fury but he’s not a dynamic offensive fighter so I don’t like to see him in showcase fights. I like to see him in tough fights where we can appreciate his well rounded boxing skills. Because he’s not a ko puncher in showcase fights. I have no idea what Wlad has left. He’s 43 and inactive. You would have to favor Whyte at this point. Philadelphia has such a rich fighting tradition. Who would you say is the best fighter ever from Philadelphia? Bread’s Response: I really think it depends on when you were born and what you have seen. If you’re under 50 you would most likely say Bernard Hopkins. Hopkins held onto the middleweight title for 10 years. Then he moved up to lightheavyweight at 40 and fought even tougher comp there than he did at middleweight and won that title 3 times. Remarkable. If you’re over 50 then you may say Joe Frazier. Frazier is a top 10 heavyweight ever. He has a top 3 left hook ever. He won a Gold Medal in the Olympics. And won the biggest fight ever vs the most popular fighter ever Muhammad Ali. If you’re over 75 you will most likely say Tommy Loughran. Loughran has wins over Harry Greb who some swear is the better than Ray Robinson. Mike McTigue an excellent fighter, Mickey Walker a guy who is on everybody’s top 25 ever. Jim Braddock who was an excellent lightheavyweight and in his prime. Loughran a top 5 lightheavyweight ever didn’t lose his title he vacated it and moved up to heavyweight undersized and did some great work. He avenged a ko to heavyweight champion Jack Sharkey and he has a decision win over HOF and murderous punching Max Baer. Hopkins, Frazier and Loughran are definitely the top 3. Your age will depend on the order. This is my second submission after being a long-time reader. I didn't make the cut last time, but I hope I can this week. Every now and then you mention a fight as one of the best wins in history. It's a concept I really like and have thought a lot about over the years. These are the fights I'm familiar with that would get my votes, I'd appreciate your additions and putting it in perspective. Duran SD12 Barkley - This is one of the few closely scored fights I have on my list, mainly because I don't believe it was controversial. Close, but a clear win for Duran. It's harder for me to give full credit for a great win if I disagree with the cards or feel it could have gone either way (like Canelo SD12 Golovkin or Leonard SD12 Hagler, which are both great wins). Benitez SD15 Cervantes - same deal here, I do not see this as controversial. I think Cervantes was given the benefit of the doubt, and Benitez still took his title. Sammy Angott UD10 Willie Pep - Similar to LaMotta's win below, Pep was 62-0 prior to this fight and then won another 72 straight fights after. It was just Angott's night. Morales UD12 Pacquiao - Beat the best fighter of the decade in the middle of the decade and at that fighter's peak. DeJesus UD10 Duran - Same deal here. Duran was 31 and 0 before the fight and then reeled off 41 straight wins. He was also clearly FoD. Frazier UD15 Ali - Again, have to give credit to someone who beat the best (or second best after Louis) heavyweight of all time in his prime. Fitzsimmons KO14 Corbett - Middleweight beats the heavyweight champion of the world. Jones Jr UD12 Toney - One of the greatest master-classes ever given by an underdog. Toney was Ring number 1 (or 2 behind Sweet Pea) pound for pound at the time, if I recall correctly. Ali KO8 Foreman - This one is so definitive (and people forget how early in the fight it happened, relatively speaking) that it has to be top 3 all time. LaMotta TKO10 Robinson - Arguably the only loss during the GOAT's prime. Which make your list? Which fights would you add? Bread’s Response: I like your list but first thing is first, you have to be accurate in the outcomes. Jake Lamotta beat Sugar Ray Robinson once but he certainly never stopped him. I consider it a great win but it wouldn’t make my top 10. When I consider a great win the 1st think I think of is what did the loss keep the losing fighter from accomplishing and how would he have been recognized if he won. Duran over Leonard is special. It could be the best win in history considering everything. Leonard is as good as it gets at 147lbs and for Duran to beat him at 25 years old is remarkable. Ali over Foreman is also on the level. It may actually be bigger. If Foreman does not lose to Ali he would most likely have reigned until the 80s with only Larry Holmes being able to stop him and that’s a big IF. If you think about that you’re talking about a 15 or 20 year reign of terror. Foreman lost to Ali in 1974 he won the title again in 1994. If Holmes does not beat Foreman in the late 70s Foreman could have possibly reigned until Bowe, Lewis and Holyfield came along in the early 90s. What a win by Ali. I love Jones’s win over Toney but it wouldn’t make my top 10. Looking back on it though it was huge because Toney was the 3rd best fighter of the 90s and if he beats Jones he’s #1. One correction though in 1994 Pernell Whitaker was #1 P4P. Fitzsimmons over Corbett is huge. Frazier over Ali is the biggest fight ever. So that win has to be top 3ish or 4ish. I love Dejesus over Duran but that didn’t make my list. It’s a great win though. But when you talk all time top 10 or 20 wins ever it doesn’t make the cut. Morales over Pac is big but it’s not bigger than Marquez over Pac. Angott over Pep is just like Dejesus over Duran. It’s a great non title win but that was common in those times. Benitez over Cervantes is a win I forgot to put on my list. This is the 3rd best win of the 70s behind Ali over Foreman and Frazier over Ali. A 17yr old kid wins a title from a HOF top 10 ever fighter in the weight class. Duran over Barkley is another win I forgot about. I thought it was close and slightly controversial but because of the late knockdown nobody talks about it. I like your list but I would include Leonard over Hearns 1. My goodness this win changed history. Imagine how Hearns would be viewed if he was undefeated at 147 before moving up. Pryor over Arguello. That win made history look at Aaron Pryor in a different light. If Arguello wins that fight he’s the 1st fighter ever to win 4 division titles when it was really hard to do. Henry Armstrong over Barney Ross. This fight is for the fighter of the 1930s. At that time Ross is top 10 P4P ever and one of the few in history to win 3 division titles. Armstrong beats him in a super fight for his career best win. Leonard over Hagler. I don’t care what you say Ray Leonard won that fight. 3 year layoff to defeat the P4P #1 fighter in the world at middleweight when your best career weight is welterweight. It’s bigger and better than Duran over Barkley. Johnson over Jeffries. Johnson beats an undefeated great champion who was designated to beat him. Huge historical fight. Greb over Tunney. Tunney turned out to be a great heavyweight champion and Harry Greb gives him his ONLY career lost. Greb is a middleweight! Hopkins over Trinidad. If Hopkins does not beat Tito then whoa. Instead of Trinidad being top 50 ever, he’s top 10-15. What a win. I can’t think of anymore off the top of my head right now. What do you think of Tevin Farmer’s level of competition since he won the title? I think it’s been really lackluster for a guy who claims he’s so hungry. Now he’s literally ducking what would be his best opponent in Jo Jo Diaz. This is a good match up. Why doesn’t Farmer have the same energy he had when he was a challenger and how come he’s not still going after Tank Davis? Bread’s Response: Boxing is a business my man. As much as fans always want to see the best fight the best it’s just not realistic in this era with the business model that has been put out. The blueprint is not to fight killers. The blueprint is to win a title and hold on to it for as long as you can. Usyk, Canelo and Loma are different. They don’t care. But for the most part you get what I’m saying. I’m not mad at Tevin Farmer. He was fed to the wolves as a prospect. He was stopped in his pro debut. He kept grinding and didn’t let it break him. He finally gets a title shot and his opponent is on PEDS so he gets to fight for another title. He finally wins it. Now he’s getting at least 500k a title defense and he hasn’t been champion a year you want him to face Tank Davis. I get what you’re saying and I love great match ups also. But Davis would be the favorite to defeat Farmer. Not that odds mean everything but they are a factor in who takes what match ups and what money you ask for. So you want Farmer to take a fight he doesn’t have to take and be an underdog against a kid who punches like a heavyweight. I’m not saying it’s ok to duck work. But he just won the title 8 months ago. Unless he’s getting 3 million to fight Davis then he can put it off. Remember they aren’t with the same promotional company. There are no pensions in boxing. He has to secure his future. As far as Jo Jo Diaz that’s a serious fight also. Diaz lost to Gary Russell but who’s to say that Farmer is better than Russell. They’re very close in ability in my opinion. The game is to be sold, not to be told. So I’m not going to get into what Farmer should or shouldn’t be doing. But I don’t have a problem with him being active and putting some money in his pocket before he takes a big risk. He came up hard and he has a right to make his money. And before you criticize Farmer look close at Tank Davis’s resume. They have defended their titles basically vs the same level of fighter. Davis’s title win vs Jose Pedraza is better than Farmer’s best win but other than that both are making good money fighting B-, C+ fighters. You can’t criticize one without criticizing the other. I think they will fight eventually but both will need to get paid. Davis is with Mayweather Promotions and he’s their best fighter. They won’t risk him unless it’s worth it. Farmer came up hard and he’s not going to give anyone a chance unless they go through what he went through. Farmer may be bitter. When he was coming up he didn’t get a chance at a big name either. The biggest name he fought was Ivan Redkach and he had to move up to 135lbs to get that fight. I love the Farmer vs Diaz match up. But Diaz may have to go to Golden Boy and petition the IBF to make him a mandatory. I’m sure if Diaz becomes Farmer’s mandatory he will fight him. Let’s see what happens. But let’s not criticize Farmer yet he just won the title. He’s just been active so it may seem like he’s been champion forever but it’s only been 8 months. What do you think of Shields vs Hammer match up? How you think it plays out? Bread’s Response: I think there are some interesting things being played out in the promotion that I just don’t want to touch. But I see it. As of now I will leave it be because it’s a slippery slope and I don’t want to jump to conclusions. As far as the match up I’ve only seen Hammer fight once. I’ve seen Shields fight about 4 or 5 times. From the eye ball test I say Shields will win a decision. Maybe 7 rounds to 3. I think Shields does everything a little better but Hammer can jab with her on even terms. Hammer has a great jab. If Shields can neutralize it, she should be good. Let’s see how it plays out. I don’t agree with last week matchups. I feel like you wanted to make a point. Besides my cruiser / super welter matchup, the rest were on points (12/14 pounds diff). Not apple and oranges. Dougie’s opinion was that « non of them would go the distance ». Yours was pretty much all of them. You guys don’t have to agree on everything but first time there’s such a difference! You still maintain Prograis/Ramirez/Taylor go the distance vs Hurd, were they to jump 2 weight classes to fight in 2 months? How come Hurd is on 0 p4p lists? I get he isn’t the flashiest but dude is undefeated, was no blue chip with a big promotion behind. He beat solid competition and stopped Trout and Harrison. Huge win against Lara and soon to fight highly regarded Williams. Besides the eye test and resume he has been « most dominant » than say Spence or Crawford at WW or Canelo at MW. What can he do to break the top 10? Or do we forget about him because he cuts lots of weight? (Crawford when at 140 posted a pic of him walking around at 170+ and Canelo always had a huge size advantage starting with Hatton 9 years ago. Good luck for the fight. Don’t reveal nothing but how should one prepare for Hurd? Am I basic to think about boxing smart and on your feet? Bread’s Response: Me and Dougie usually agree on most things but we won’t have the same exact opinion on hypotheticals things like the one you sent me. I can’t remember exactly what you sent in but I do know you tried to make a correlation between Mikey Garcia moving up to fight Errol Spence and Caleb Plant moving up to fight Gassiev or Usyk. I can’t remember which one. Then you wrote in a few more like Lara vs Benavidez etc etc. I thought it was just OFF. What you tried to do was make a point that Mikey didn’t get stopped and in the other hypothetical match ups the smaller fighter would. And I showed you examples of smaller men in similar weight classes who moved up just like Mikey did and they didn’t get stopped either and they actually won more rounds and performed better than Mikey. I didn’t do hypotheticals I did all facts. First off Mikey was a junior welterweight champion. So the highest weight he actively competed at was 140lbs. Lipinets is no joke and Mikey beat him. Lipinets would be the 2nd best opponent that Spence has faced before Mikey. So the promotion did their job in making it out to be a 2 weight class jump when in fact that wasn’t the EXACT truth. Again Buddy McGrit moved up from 140 to 147 and beat Simon Brown. Marlon Starling an average sized welter moved up from 147 to 160 and got a MD loss to HOF level Michael Nunn. Oscar De LA Hoya started at junior lightweight and moved up to 154 to beat Fernando Vargas. Zab Judah moved up from 140 to 147 and went the distance once and beat Cory Spinks in the rematch. Marquez went the distance with Floyd Mayweather. Duran went the distance with Hagler. Leonard with the distance with Hagler. Mosley went the distance with Canelo and Mosley started out at 135. Emille Griffith gave Carlos Monzon hell at 160 and Griffith was a natural welterweight! I can really go on and on about that. I don’t know what you were trying to prove but I know I debunked it. Men who were giving up similar or more size than Mikey was vs Spence. Have moved up to face fighters equal too or better than Spence and have went the distance, not been stopped or won. Sometimes you guys over analyze. You micro critique. Then when you try to make a point the point is just way off and you keep going instead of bowing out gracefully. What Mikey Garcia did was commendable. He moved up in weight to fight a killer. Spence is either the best or 2nd best guy in the division. But many others have done exactly what Garcia has done. Some have faired better, some have faired worst. What you tried to do was make it like no one has ever went the distance with a bigger guy who was a killer, which is terribly wrong. And before I go on to another subject while I commend Mikey he did the best he could. Mikey fought a defensive fight. I have seen smaller guys open up offensively and still go the distance which is much harder. Miguel Cotto for example is a lot physically smaller than Canelo and he not only went the distance with Canelo but he won more rounds than Mikey did and he opened up much more. You ever watch a video of Duran vs Barkley? There is no way you could have. Prograis and Taylor are not former welterweight champions. See that’s where you’re wrong again. Mikey won a title one division below Spence. And again I don’t assume Hurd stops Prograis and Taylor. Those are tough guys who are smaller but they aren’t weak men. I would need to see more in their careers for me to assume that. Many assumed Mikey would get stopped and he didn’t. So I won’t assume that about them. I believe Hurd is a top 10 or 12ish P4P right at this moment. His win over Harrison really looks good right now. I think he doesn’t get the credit he deserves because he’s not dominant in his fights. He loses his share of rounds so the critics view him as a force but they view him as vulnerable. Many of the top P4P guys win 9 or 10 rounds in every fight or get stoppages. Hurd is a guy who wins about half of his rounds against his top opponents. So that’s why he doesn’t get the credit he deserves. But he does get the job done. [QUOTE=Boxingfanatic75;19641441]I’m quite certain he cares what you “think” about him. [/QUOTE] I’m certain I don’t care what you “think”. [QUOTE=Oldskoolg;19640465]Bro when these clown shoes are making comments like “us fighters have a problem with discipline” it really shows you the mindset of the jokers making statements like that[/QUOTE]It's not that subtle anymore is it? Another great mailbag from Bread. Boxing has the most idiotic nationalistic stans.